Don Friedman was 25, a postbop pianist just starting to make his name in New York, when he played on the sessions for Booker Little’s Out Front. The year was 1961, the label was Candid, and Little-a trumpeter and composer with a stunningly progressive harmonic imagination-was creating his masterwork, though he probably didn’t know it at the time. The album featured Max Roach on drums and percussion, Eric Dolphy on reeds and flute, Julian Priester on trombone and either Ron Carter or Art Davis on bass. Friedman was the only white musician of the bunch, and the least prominent among them. But he held his own. A few months later he appeared on a sequel of sorts, Booker Little and Friend, on Bethlehem Records. 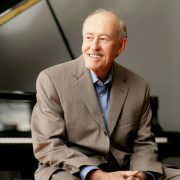 Friedman, who died in June at 81, had a rich and far-ranging jazz career, as both a sideman and a leader. He worked for many years with trumpeter Clark Terry, who in his memoirs called him “a skillful and incredible pianist.” He served brief but respectable stints with flutist Herbie Mann, saxophonist Charles Lloyd and drummer Elvin Jones. His own albums, from the early ’60s on, exemplify a graceful and articulate school of center-left jazz modernism; the most recent at the time of his death was Nite Lites, a sparkling trio date with the bassist Harvie S and the Austrian drummer Klemens Marktl, released on Fresh Sound last year. As it turns out, Friedman had another, even more impressive trio album in the queue. Strength and Sanity, now available on the vinyl-only subscription label Newvelle Records, is a nod to his experience with Little, featuring eight compositions drawn from Out Front and Booker Little and Friend. More than a brisk finishing lap for Friedman’s working trio, with Phil Palombi on bass and Shinnosuke Takahashi on drums, it’s a thoughtful revisiting of some brilliant music that still isn’t heard as often as it should be. It also glows with personal significance, suggesting the efforts of an accomplished and worldly artist returning to a pivotal moment from his youth. This interplay of the distant and recent past feels appropriate, at least from where I stand. I’m chagrined to admit it, but my relationship with Friedman’s music was decidedly casual before he began turning up on a handful of head-turning historical releases within the last decade. First there was Pieces of Jade, a rare trove of recordings by bassist Scott LaFaro, issued on Resonance Records in 2009. Friedman, who was a close friend of LaFaro’s (and for a short time, his roommate), appears on the album alongside drummer Pete La Roca, in a studio session from 1961. He sounds something like a cross between Bud Powell, his most important early influence, and Bill Evans, with whom LaFaro was also famously playing at the time. Then came the Jimmy Giuffre 3 & 4: New York Concerts, released on Elemental Music in 2014: an illuminating glimpse of Giuffre, the iconoclastic clarinetist and tenor saxophonist, playing two small-group shows in 1965. Friedman appears on the second of them, in a quartet with Barre Phillips on bass and Joe Chambers on drums. 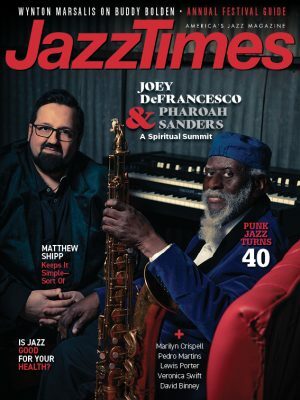 For me, his playing on that release was a revelation, especially for the flash-bombs of atonality he brings to a piece like “Quadrangle.” I spoke with Friedman for a story about Giuffre, and he brought generous insight to the conversation, helping me understand what made that music so idiosyncratically original. Strength and Sanity could be upheld as Exhibit A in that argument, and not just for the crystalline clarity of the pianism. Friedman understood the brave peculiarities of Little’s compositional style-all the forward-thinking ways in which the trumpeter voiced chords, layered colors and superimposed rhythms. It’s an act of musical empathy not unlike the one Dave Douglas managed on his excellent 1995 album In Our Lifetime. But where Douglas led a sextet expressly patterned after Little’s, Friedman rearranges the music for piano, bass and drums. In doing so, he locates some essential piece of its character, the part that rings universal. He also takes considered liberties, like the searching piano improvisation that opens the album, serving as a prelude to “Moods in Free Time.” When the trio later tackles “Victory and Sorrow,” all three musicians smartly finesse a recurring tonal shift in the tune. Friedman’s piano voicings often precisely recall the blend that Little achieved in his frontline of trumpet, trombone and saxophone. On a track like “Quiet, Please,” he works out the arrangement so that he and Palombi share aspects of the melody, in a slippery call-and-response. On the title track he’s sensitive yet assertive with his touch, and unabashedly rhapsodic with the melody. Little was only 23 when he died of uremia, the same year he made Out Front and Booker Little and Friend. Friedman, who had been battling pancreatic cancer in his final years, had a much longer time on this earth, and he seems to bring the fullness of that experience to this music. Strength and Sanity probably isn’t an album he could have made earlier in his career. It stands as a gorgeously realized tribute-and not just to its intended subject.